It's peach season!! Woot!! 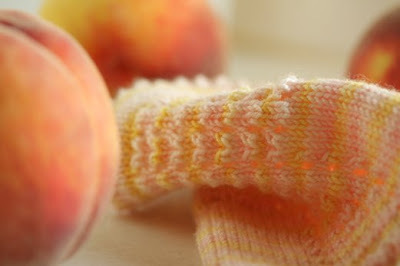 I love peaches! 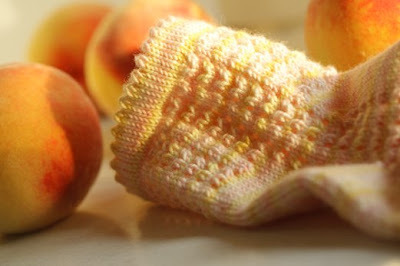 And really...is there any better pairing than peaches and picots? My heart is pitter-pattering with the gorgeousness! Love love love it! 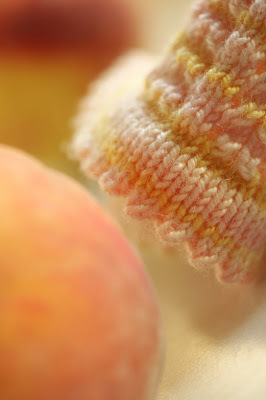 peaches and picot = pretty!! both are equally yummy. 3 weeks til sock summit, right?? Oh my gosh! That is a lovely post. Peaches are coming to town! Hooray! I'm on my way to pick some up and to stop by the store for some cream!! Love it! Your work is so inspirational. serious love for the socks and your pictures. petting my peek a boo right now!